Our living culture has changed in line with our lifestyle - our home is an expression of our individuality. NEO can easily be adapted to our different requirements. Cocoa lacquer, high-gloss cocoa lacquer, core walnut. An especially designed hanging bracket ensures a high loadbearing capacity in this solution. The weight is securely held and seems to float unsupported. 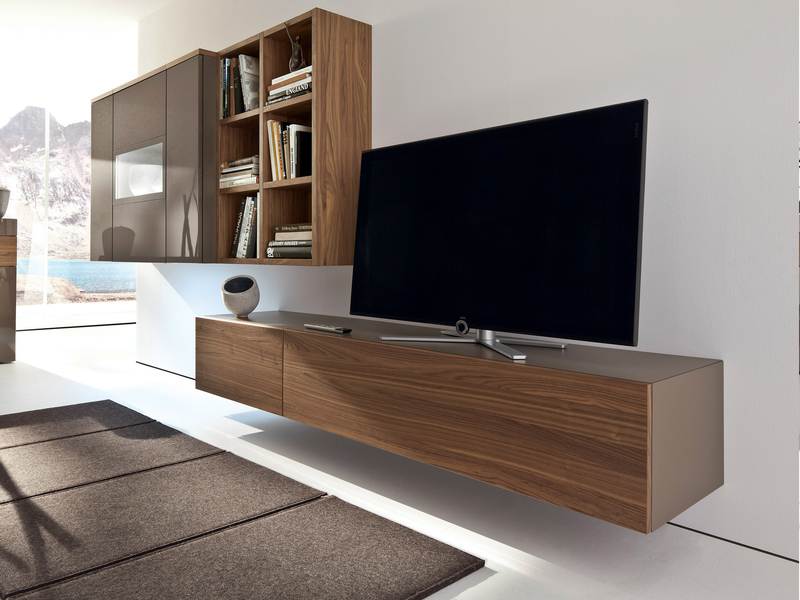 You want to put your flat screen on an elegant lowboard, which will make further electronic equipment and accessories invisible? NEO offers the solution! Choose from three options: freestanding, suspended or with a high-gloss chrome metal frame. Your good taste alone is the deciding factor.